Do you allow urgent or same-day appointments? In addition to having an annual physical exam for your pet, we also recommend performing a yearly blood test. This yearly exam checks your pet’s kidneys, liver, blood sugar and blood protein levels. It is very easy to administer these blood tests at the same time we perform the yearly heartworm test. For your geriatric pets, we may recommend some additional blood tests. Payment is required at the time of service, and we gladly accept cash, checks and all major credit cards. We also accept CareCredit, which offers special financing for your animal's expenses through a credit card. We require 24 hours’ notice to cancel all appointments. Please be sure to contact us if you will not be able to make your scheduled appointment, in order to avoid being charged for the visit. We set aside certain times during the day for emergency vet visits. Please call our office and speak with one of our staff to set up a same-day appointment. When you are looking for a veterinarian, we recommend finding a supportive, calm and caring environment that will make both you and your pet feel comfortable. 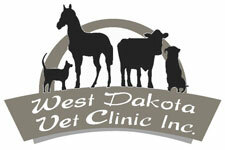 Choosing an animal clinic that has additional in-house services is also more convenient and cost-effective over time. An annual exam is a standard procedure that we conduct, but it is up to you to keep watch and make notes about your pet’s health and behavior. Our comprehensive full-body examination of your pet will help ensure optimal health. Please come to us with anything that you notice or any questions that you may have. Spaying or neutering can be done at approximately four months of age. Your pet is given an exam prior to surgery, to help determine if they are healthy enough to undergo the surgical procedure. Current vaccinations are required at the time of surgery, and a pre-anesthetic blood screen is recommended prior to undergoing anesthesia and surgery. We work with you and your pet to help manage any pain after surgery. We will examine your pet’s teeth during their annual exam to determine the best schedule for your pet. Just like people, individual pets develop tartar and oral disease at different rates. Many large dogs can go for one to three years without a cleaning at your animal clinic. Most smaller breeds need a professional cleaning every six to twelve months. However, by brushing your pet’s teeth at home, you can minimize how often your pet will need its teeth professionally cleaned. Although your pet can catch strep throat, he can’t catch a cold or the flu from you. That does not mean your pet can’t have an upper respiratory infection or intestinal disruptions. Coughing, sneezing, vomiting and/or diarrhea can all be debilitating for your pet, and we recommend setting up an appointment with our animal clinic if your pet is suffering from these symptoms.